The US Subprime crisis as well as the severe beating taken by reputed investment banks in Europe and the US on Credit Default Swaps and other derivative instruments created shock waves in the banking and the financial world in the Year 2008.Periodic aftershocks keep occurring as recently a reputed investment bank took a severe hit in its derivative segment and its investment banking division as its bets had gone awry. Tax payer’s money was used to bailout all these reputed investment bankers and insurance firms while their top management went Laughing All The Way To The Bank gifted with hefty pay packages. This caused widespread heartburn among the general public in these countries who felt that they were paying out of their pockets for no fault of theirs. It is widely perceived that due to " Crony Capitalism " large amounts of wealth is concentrated only in the hands of a few .Regulation is not of much use in a capitalist economy where money is the " Be All And End All " and capitalist economies will continue to live on these principles. The distribution of wealth and the avoidance of gambling and speculation in Islamic Banking has led to the belief among certain major banks in the West that these principles can be followed in banking. Some of the prominent banks in the US and Europe have Islamic Banking divisions. Due to the lack of a viable alternate banking system to the western model many of the immigrant Muslims in UK, USA and other European countries are forced to adopt these models including the acceptance of interest. The setting up of Islamic banking divisions by reputed banks in the UK and certain banks in the US which are Shariah complaint has been started to bridge this gap. The UK government has issued Islamic bonds (Sukuk) which are Shariah complaint in order to cater to this demand. Certain reputed banks from Qatar and Dubai are also catering to this demand. Ford Motors sold the iconic Aston Martin using leveraged buyout for about $ 1.2 Billion using Islamic Finance. A Shariah compliant current account, mortgage and personal loan is offered by these banks. Malaysia has taken up to the Sukuk or the Islamic bond like a " Fish To Water ". The World’s first Sovereign Sukuk bonds were issued by Malaysia in the Year 2002.Malaysia has a population of about 3 Crores and about 60% of its population is Muslim. 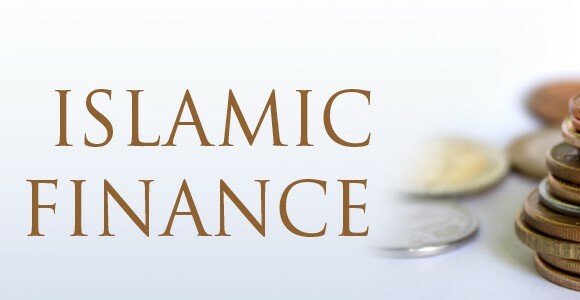 Malaysia leads the world as one of the pioneers of Islamic finance The International Centre for Education in Islamic Finance was established in the Year 2005 with about 2000 students to cater to the demands of Islamic Finance. There is also the Islamic Banking and Finance institute of Malaysia which caters to Islamic banking functioning as a consultancy and enables them to be Shariah complaint .Malaysia serves as a pipeline teaching students from different countries the principles of Islamic banking and caters to a global need. Malaysia is at the crossroads of the banking world. It is very close geographically to Singapore which is a global banking hub. It has a very large Muslim population and since it is influenced by both London and Singapore it is able to connect the tenets of Religion with Banking. One has surely heard of the Islamic Banking system of Murabaha where the bank buys a house using its own funds and the price is disclosed to the buyer. This house is resold to the buyer for a profit. The buyer has to make a down payment which can be as high as 30% or a strict collateral needs to be provided. The buyer takes up the residence of the house and resides in it. The house or property is in the buyer’s name. The buyer makes payments to the bank without interest. They method is mainly used in mortgage and the real estate industry. One also has another Islamic mortgage technique commonly used in the Western countries. Let us consider Mr. David in the UK sells his house as he is in urgent needs of funds. The Islamic Bank purchases the house from Mr David with an agreement to resell his house back to him. Mr David continues to stay in the house but the ownership of the house is retained by the bank until Mr David pays back the entire amount owed to the bank.The bank pays Mr David the money for his house. Mr David now has to get back ownership of his house from the bank .Mr David has to pay back money in installments as fixed by the bank as well as certain amount of rent to the bank as the bank is the title owner of the house Initially Mr David pays up huge amounts of money as rent is at the fair market value as well as installments on his home. The governor of the RBI has ruled out the introduction of Islamic Banking in India. However the governor is open to other vehicles of investment based on Islamic principles. This method would help to channelize NRI Funds particularly in Kochi which has a huge NRI Population. A separate law on Islamic banking needs to be introduced in order to make Islamic Banking in India possible. Let us look at credit default swaps a financial derivative weapon used in the Western World. This was most widely blamed for what was known as the US Subprime Crisis. Let us learn how this financial instrument works. Let us consider an Insurance Company in USA. This Company issues bonds or debt of up to 1 Billion Dollars taken up by a reputed bank in the US. This reputed bank has a huge exposure to the debt of the Insurance firm. The bank fears the stability in the value of the bonds of the Insurance firm. The bank does not want to sell these bonds due to tax issues but at the same time it does not want to bear the risk involved in having these bonds on its balance sheet. In order to avoid these risks the bank enters into a Credit Default Swap with another party called the third party in order to mitigate the risk involved. A Credit Default Swap is mainly an agreement or a contract between two parties in this case the bank and the third party against a default by the Insurance Company. The bank pays the third party a sum of money to bear the risk of a default by the insurance Company. This is called a premium and it depends on the measure of risk involved. The amount insured is called the Notional Amount .In case of a default by the insurance company the third party bears the 1 Billion dollar loss. The third party can share this loss with a number of other entities by making a series of payments to each one of them and they all share in the risk of a default on its bonds by the insurance Company. This is called a daisy chain. Each party is a counterparty to the insurance firm and in case of a default the bank looks at the third party to bear the costs. This in turn moves down the daisy chain and all the parties are affected. In case of a booming economy all parties gain from these transactions but in case of a default by the insurance Company the entire daisy chain collapses like a pack of cards. The net effect of this reverberates across the economy. This is called the Domino Effect. Islamic banking forbids speculation and profits from the risk and uncertainty of other parties. Let us consider a lender packages securities based on the risk of a credit card default by a set of loan clients of a bank and sells them and profits from the risk. This is banned according to Islam. Mortgage and loans cannot be packaged and sold to others in order to profit from the uncertainty. Since Islamic banking does not deal in these kinds of packaged loans and mortgages in which these securities are packaged and sold to other parties betting on the chances of a default or a risk or uncertainty the chances of a loss is nil. However Islamic banking does have a share of its difficulties and a measure of reforms does need to be brought into the sector. I would like to end this article stating that there is a lot that the West can learn from Islamic Banking and the Islamic Banking techniques can contribute greatly to the growth and the development of the Western Banking and Financial Model eliminating a huge amount of inherent risk that is existent in the Western Banking System.